➤ Cleaning method: wipe with a cloth, fast, clean, to create a comfortable and warm environment for you . ➤ Applicable people: old people, disabled people, pregnant women, children . ➤ Note: There may be some differences due to lighting problems in the physical shooting. Please refer to the actual object for details. The measurement is pure manual and the size is for reference only. ➤ Material: 304 stainless steel Brushed wear, corrosion resistance, load-bearing up to 300kg, service life of 10 years, Brushed stainless steel, easy to clean with a damp cloth, not easy to leave water stains, convenient and beautiful . ➤ Advantage: Our use of the finest 304 stainless steel Brushed ensures our products are water and rust proof. Concealed screws, beautiful and elegant look,Mounts to the wall with screws.Concealed fixings. ➤ Design: In accordance with the human design 2.5cm more comfortable grip, Three-hole base, using the triangle principle, easy installation . ➤ Handrail use: Grab Rails is manufactured to standards that ensure the highest strength and durability in wet environments,Because of the strength of the material,and its antibacterial qualities, Grab Rails is also suitable for intensive use in hotels, education and medical institutions . ➤ Guarantee: Product 100% customer satisfaction. if you aren't pleased with them. No hassle and absolutely no risk on your part guaranteed full refund . 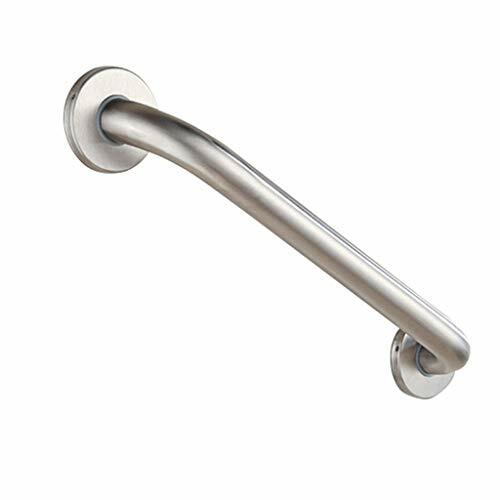 If you have any questions about this product by CGF-Grab Bars, contact us by completing and submitting the form below. If you are looking for a specif part number, please include it with your message.